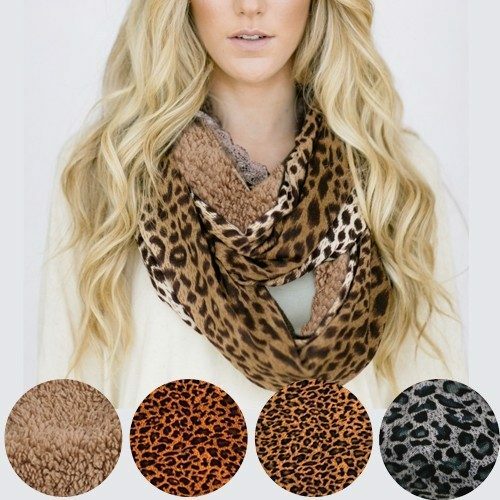 Leopard Print High Quality Infinity Sherpa Fashion Scarves Just $6.99 Down From $40.99 At GearXS! Ships FREE! You are here: Home / Great Deals / Leopard Print High Quality Infinity Sherpa Fashion Scarves Just $6.99 Down From $40.99 At GearXS! Ships FREE! GearXS has this stylish Leopard Print High Quality Infinity Sherpa Fashion Scarves on sale for $6.99 (Reg. $40.99) + FREE shipping! Each of the Leopard Print Fashion Scarves are fashion-forward, super-soft, and extremely comfortable. This lightweight scarf is styled in a continuous loop and can be draped, wrapped, or wound around to provide a perfect accent to any outfit. The Sherpa lining will keep you warm during those chilly and cold months. Available in 3 styles, these leopard print scarves are ready to be fashionable and help keep you warm. Order today.